Turns spell learning into a 10 second magical trial with trial difficulty proportional to the cost of the spell. Pass the trial and you learn the spell. Fail and you suffer the consequences. Reverted form ids to 43. Challenging Spell Learning changes the bland vanilla spell learning system to increase the challenge, risk and satisfaction of spell learning. ﻿﻿Instead of instantaneously "consuming" spell tomes to learn the spell, reading a spell tome will now start a learning ritual that tests your magical abilities. During the ritual your magicka will steadily drain, and to learn the spell you must complete the ritual without running out of magicka. Because the rate at which the ritual drains your magicka is proportional to the cost of the spell, all but the most basic spells are effectively off limits to characters with no investment in magicka or magical skills. However, as your character improves, more and more spells will become within their reach, resulting in a natural progression from novice to master. Nonetheless, learning master spells will remain a real challenge for even high level mages, requiring thought and preparation. Here's a video showing the mod in action. First a low level warrior fails to learn a novice destruction spell, then a low mage tries the same but succeeds because of their perks and gear. Finally, the same mage tries to learn an apprentice alteration spell but fails. When you read a spell book for the first time, a menu opens asking you if you want to try to learn the spell. If you select "yes" your inventory will close and your character will start the learning ritual (complete with pretty animations and visual effects). During the ritual you are unable to control your character and their magicka will drain at a rate proportional to the cost of the spell. After 10 seconds, if your character has any magicka remaining they will acquire the spell and regain their lost magicka. However, if they have run out of magicka they will be struck down and suffer mental exhaustion, a disease that reduces total magicka and greatly reduces magicka regeneration rate. 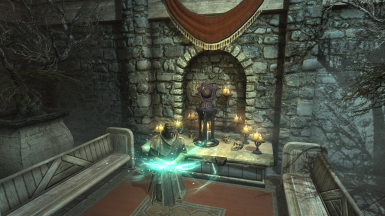 The rate at which magicka is lost during the ritual is given by the square root of the cost of the spell multiplied by a value that can be adjusted in the MCM (by default it is 2.5). The square root is used because spell costs increase dramatically and I wanted to ensure that basic spells are just about learnable for new characters, while master spells remain possible to learn, but only for highly skilled mages. Magicka loss during the ritual is proportional to the amount of magicka it would cost your character to cast the spell, not the spell's base cost. So if you have perks that reduce the cost of the spell you are trying to learn, they will similarly reduce the rate of magicka loss during the ritual. The magicka drain can also be resisted by resist magic potions or enchantments. Accordingly, to learn a master spell you will want to have taken any perks that reduce the cost of the spell, wear special gear to further reduce the cost or increase your character's magic resistance, drink a restore magicka potion prior to starting the ritual and have invested in your total magicka pool when leveling up. After the ritual you keep the spell tome. So if you failed you can try again when your character is better prepared. If you succeeded, reading the spell tome again will cause you to forget the spell, which is useful for de-cluttering you spell inventory (this doesn't work for flames or healing which are baked into your character). The MCM allows you to change the rate at which your character loses magicka while performing the spell learning ritual. By default it is 2.5. Higher values will make spell learning harder, lower values will make it easier. There are two additional toggles. The first turns mental exhaustion into a 10 minute debuff, as opposed to a disease, this is for players who use mods that make diseases much harder to cure than in vanilla. The second allows you to remain in first person view during the ritual. This is only for players who use a mod than enables first person animations as otherwise you'll just stand there. SKSE - the ability to set the rate of magicka loss during the ritual as a function of the cost of the spell you are trying to learn relies on new functions added by SKSE. SkyUI - only needed if you want to access the MCM. - Download and install the mod into your data directory. Make sure challenging_spell_learning.esp is active. - Load your full load order, including challenging_spell_learning.esp. The position of the CSL esp does not matter. - Click to install a new patcher. Navigate to the CSL patcher: it is where-ever you installed the mod, inside a folder called "zEdit patchers". Install it then click the button to restart zEdit. - Load your full load order in zEdit, including challenging_spell_learning.esp. The position of the CSL esp does not matter. - Build the patch, it will take a couple of seconds. - Watch the logs as the patchers run, they tell you what the patcher is doing and give you warnings if its not sure how to patch any of the spell tomes. - Exit zEdit saving the newly created patch esps. - Make sure the patch is below all the mods they patched. - The mod also comes with an xEdit script if you prefer. It is located in the install directory inside a folder called "xEdit scripts". However, I cannot provide help concerning the xEdit script as I did not make it. Thanks to the patcher, I believe that Challenging Spell Learning is compatible with everything*. *... except mods that add scripts to the spell tomes. These are basically only other spell learning mods though (e.g. Better Spell Learning), and there's no easy way to somehow combine their effects, so you're just going to have to choose between these mods. Challenging Spell Learning is basically a standalone mod. 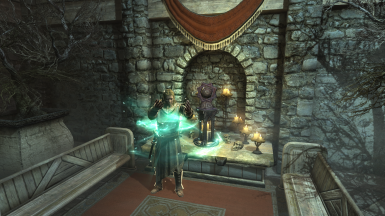 However, mods that change restore magicka potions to act over time (e.g. CACO) will help you pass the spell learning trials. 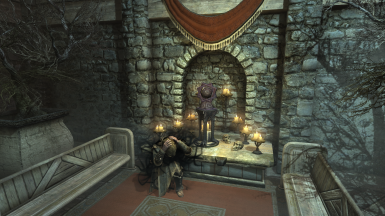 Vanilla potions cannot help you because they act instantaneously and once you start the ritual you are locked out of your inventory. Adding a zedit patcher (thanks to IriFlina); improving the xEdit script's ability to auto add spell descriptions to book contents; adding new features and animations to the ritual. Overwhelming thanks to Mator for creating zEdit, without which the zEdit patcher would not be possible. A huge thank you to cdcooley who provided the xedit script and suggested changes to the ritual script. Thanks also to several users who provided patches before the script was available: agentw, Rokendov, FetorMortem, and Nyrhi. Finally, thanks to everyone who contributes to the creation kit wiki and nexus forums. It took a lot of googling to get the animations working the way I wanted.